There are some wonderful Christmas books for kids around, plus quite a few Christmas poems and stories which are great to share with children of all ages. 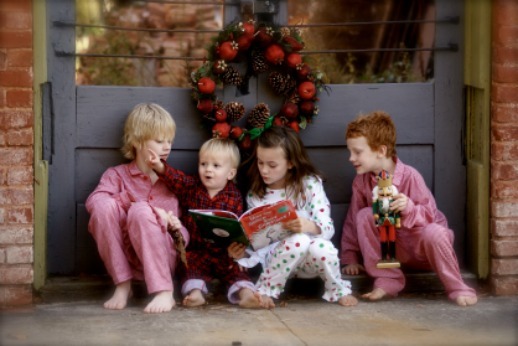 So why not start a collection of Christmas books and stories for your children? It's important for kids to see reading as fun and as an important part of life and creating a small library of Christmas stories is an really easy, inexpensive and enjoyable Christmas tradition you can easily incorporate into your family's preparations for Christmas. To help you get started, I've put together a list of wonderful Christmas books for kids which includes a little something for everyone. And in case you think that Christmas stories are only for little kids, have a look at the books I've found for the 8+ age group. 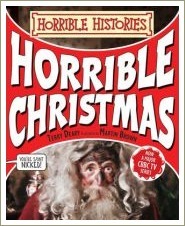 Horrible Christmas is a great book to read with kids aged from about five years up, with lots of gruesome and weird facts and stories which seem to hold a special fascination for boys! Kids from about the age of 8 will enjoy reading it on their own, or perhaps to a younger brother or sister. 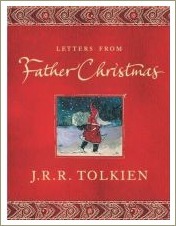 There's also an amazing book called Letters from Father Christmas which sounds like it should be a book for younger children but will interest older fans of the Lord of the Rings trilogy. It's a book of letters and drawings JRR Tolkein wrote for his children when they were growing up and contains fascinating drawings, little stories and characters which are reminiscent of those which appear in the Lord of the Rings books. It can be hard to find Christmas books in the shops between January and October so, if you're keen to start building your family's Christmas library, you may like to look at buying books online. The Book Depository is my favourite place to buy books these days. The prices are great, they have a fantastic selection and they offer postage anywhere in the world. 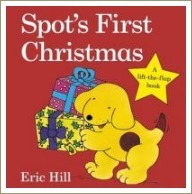 You may also like to checkout my list of the best Christmas books for children of all ages. Speaking of Christmas classics, you'll find a free copy of the famous poem 'Twas the Night Before Christmas: A Visit from St Nicholas here.